My name is Colin Rutter and I have over 30 years experience of designing loft conversions and home extensions. 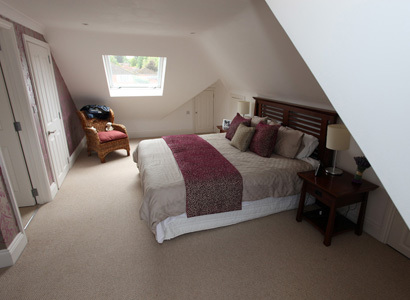 I offer a range of services that can help you convert your loft to be the space you want it to be. I realise it can be a bit daunting as you start to consider the benefits of converting your loft and that's why I offer a free, no obligation opportunity for you to talk through what you would like to do and for me to give you some options on how this could be achieved. To see the full range of services that I provide just click here or on the Services tab above. To arrange an appointment at a time and place convenient to you or find out more about how I can help you, either call me on 01372 230585 or send me an email at colin@loftspacedesigns.com. "Hi Colin, It was great to meet you today, thanks for coming. It's daunting when one embarks on a project like this and you made us feel secure in your advice i am sure we will require more from you in that regard going forward. Your fees seem in line with what we expected/researched and yes, we would very much like to instruct you to work on our behalf. Lets start this exciting journey!!"